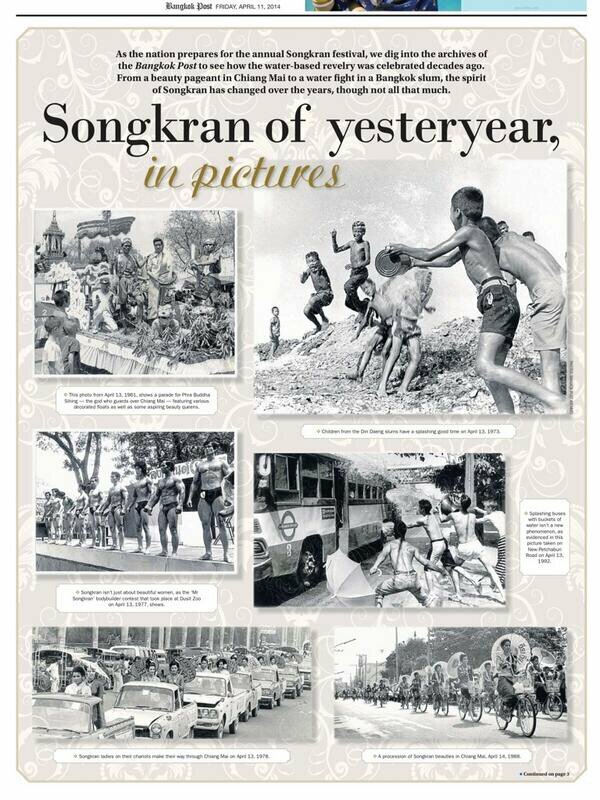 Songkran in Lampang in the 1960s. It was NOT an exclusively religious, gentle, respectful affair back then, as many people will try to tell you. It was a big, bad party, also in the old days!! As people prepare to celebrate Songkran, this year's festival sees a number of stricter road safety rules and regulations -- from the Section 44 edict requiring all car passengers buckle up to the ban of water-throwing from the back of pickups along major roads and highways. But the spirit of Songkran has always been high -- and wild. 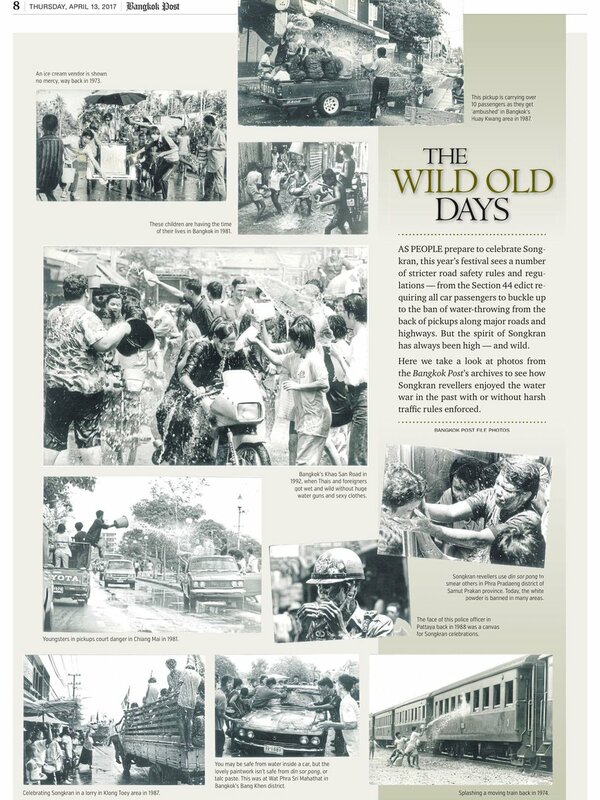 Here we take a look at photos from from the Bangkok Post's archives to see how Songkran revellers enjoyed the water war in the past with or without harsh traffic rules enforced.